Research has shown that people who have meaning and purpose in their lives are happier and derive a positive sense of wellbeing. They also experience less stress, anxiety and depression. How we find meaning in our lives is different for everyone. It could be through our work, our religion, and our relationships….anything that helps us feel part of or contribute back to something larger or more permanent than ourselves. Hopefully all of us mothers experience purpose and meaning through our children and the legacy of these wonderful and productive individuals we leave to the world when we are gone. Meaning is particularly poignant at Christmas because of its traditions and the opportunity many of us have to slow down, connect with family and friends and reflect on what we are really doing with our lives and why. Unfortunately, a lot of us are way too busy hurtling ahead with our end of year to-do lists, attending functions, planning, shopping, wrapping, and cooking that we end of frazzled. A major study has shown that a focus on materialism, consumption, giving and receiving presents resulted in less happiness, more negative emotions and more stress. In contrast, focusing on spending time with family, engaging in Christmas traditions, and being more environmentally conscious (sending less rubbish to landfill!) improved people’s wellbeing at Christmas. So, how can mothers keep the meaning in Christmas? 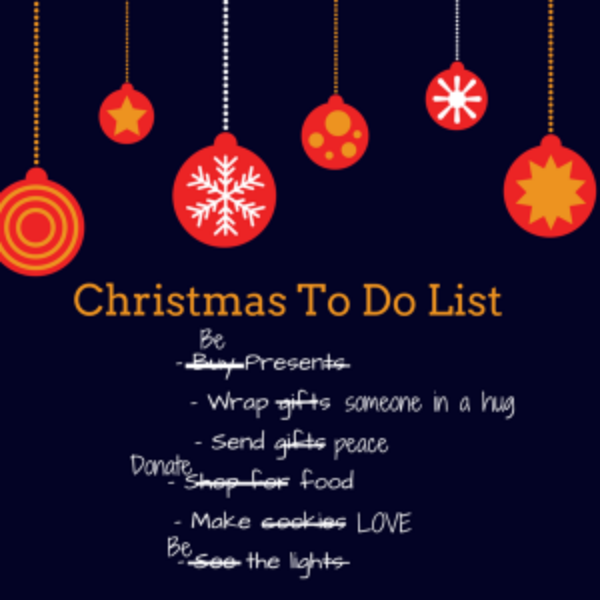 Wrap fewer presents and spend more time playing with your kids with Christmas carols blaring. Get your family or friends to bring a plate, rather than having to create the perfect Christmas table yourself. Take the children to a Christmas carol service or to enjoy a lights display. Be grateful for all you have and have compassion for those less fortunate by giving a charity gift. In short, do anything that builds the positive emotions that create meaning: love, compassion, hope, awe, gratitude, trust and joy. Wishing you a very happy Christmas season from Flourishing Mothers.